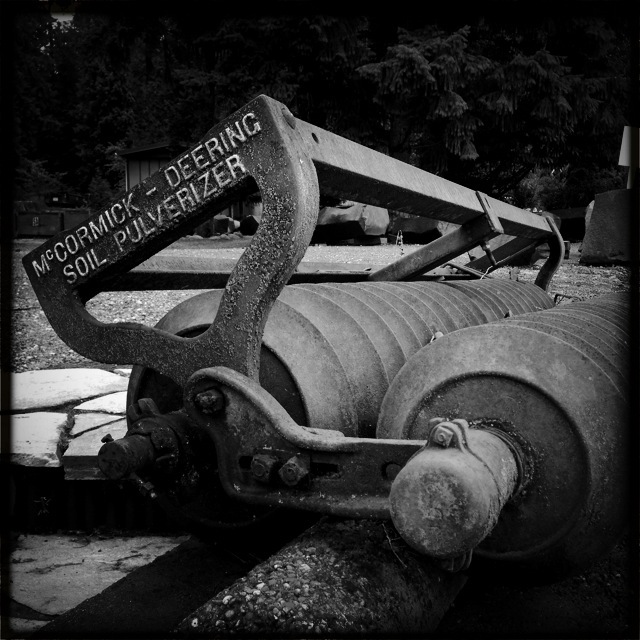 For today’s Black and White Tuesday I have two more images of old farm equipment displayed outside the stone yard we visited a few weeks ago. John and Ryan had a great time searching through the stone choices for our new front yard steps while I wandered around the property taking pictures of their rusty, well used collections. Spread across the lot are carefully placed trucks, tractors, bicycles, plows, marine equipment and vintage signs from local area businesses as well as driftwood art and even old toy dump trucks. It was a fun trip for all of us and happily we have at least one more visit ahead before our front yard project is complete. Great photos. Makes me think of the families that owned the equipment – live when it was harder – and simpler too. Thanks for the post. I think the same kind of questions when I see these old pieces of equipment. I’m glad you like the post. Thanks Sally. I took a lot of pictures that day but these are some of my favorites. Thanks Sue. 🙂 I’m glad you like them! The pictures are great! 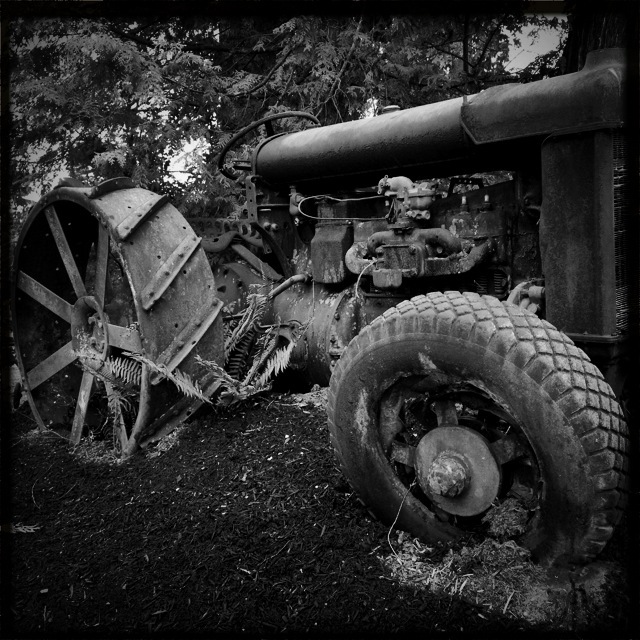 B&W is perfect for pictures of old farm machinery. Thanks Sheryl, I thought it was fitting and am happy you think so too! I liked the label. 🙂 How often do we get to take pictures of a pulveriser! Happy to know you think the black and white worked!